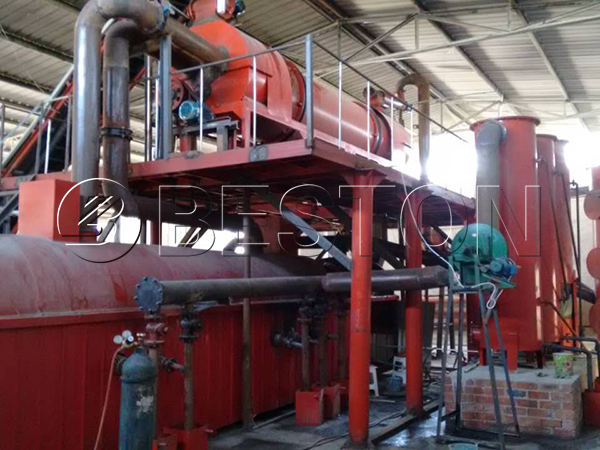 Palm kernel shell carbonization machine is designed to convert palm kernel shell waste into charcoal through the biomass carbonization process. 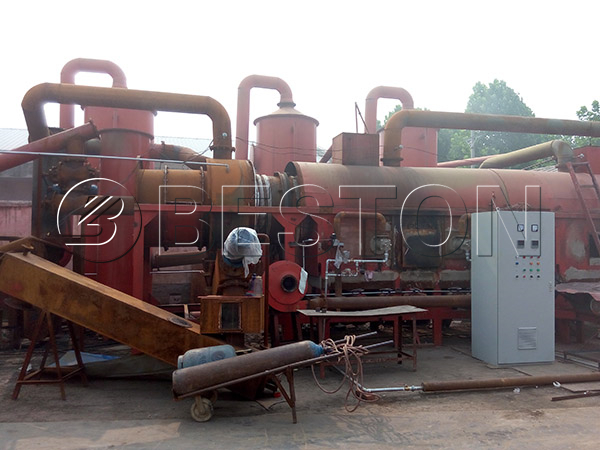 As a pioneer in the waste recycling plants manufacturing field, Beston Group can provide you with best quality palm shell kernel charcoal machine with perfect design, which can both save energy and protect the environment. First, the combustible gas produced during the palm shell carbonization process can be recycled to heat the carbonization host and dry the raw material. In addition, when the amount of the combustible gas is steady and strong enough, it can even replace the fuel. 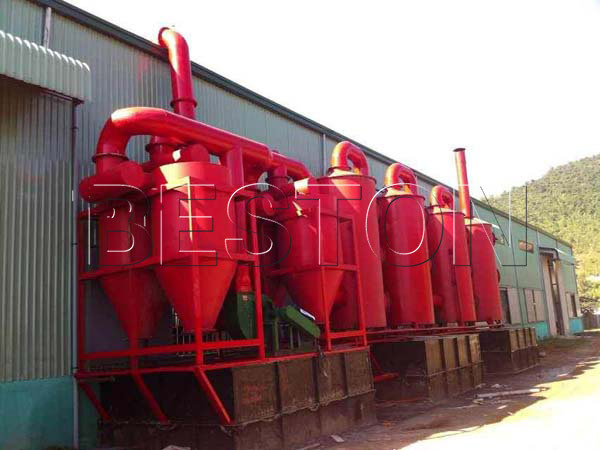 So our palm kernel shell charcoal machine is energy saving. 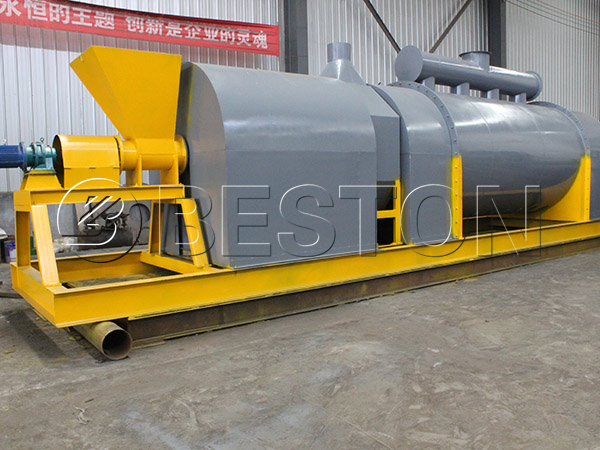 Second, it is equipped with the de-dusting system, which can achieve the professional de-sulfurization, smoke-remove, so the plant can achieve emission standard. Third, the palm shell charcoal is discharged after the water cooling system, which can cool the palm shell charcoal down. 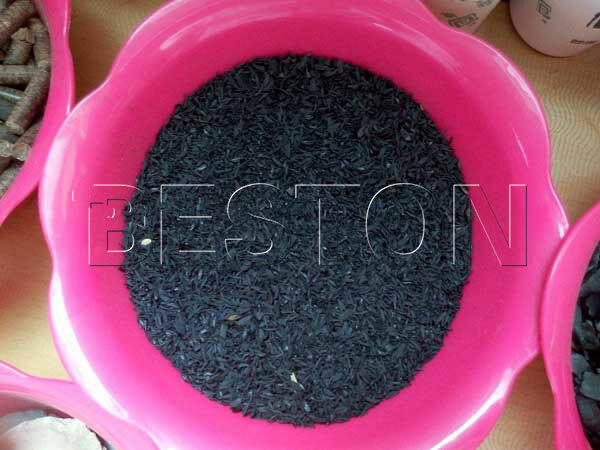 The temperature of the discharged charcoal is around 30 degrees, so the charcoal will not be self-ignited. 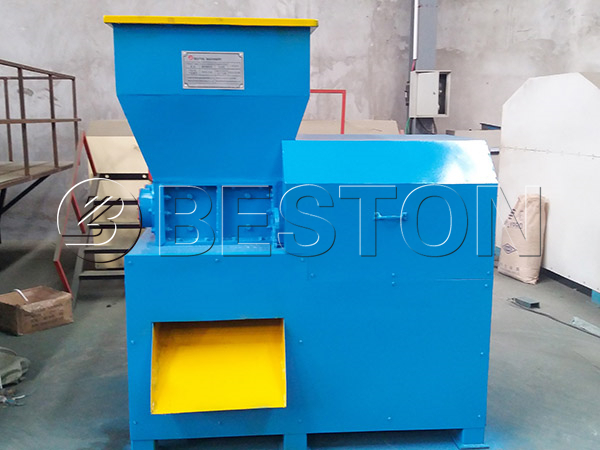 In virtue of all above mentioned, our palm kernel shell carbonization machine is popular in the South and the Southeast Asia countries. And we have built good cooperation relationship with customers from Malaysia, Vietnam and other countries. 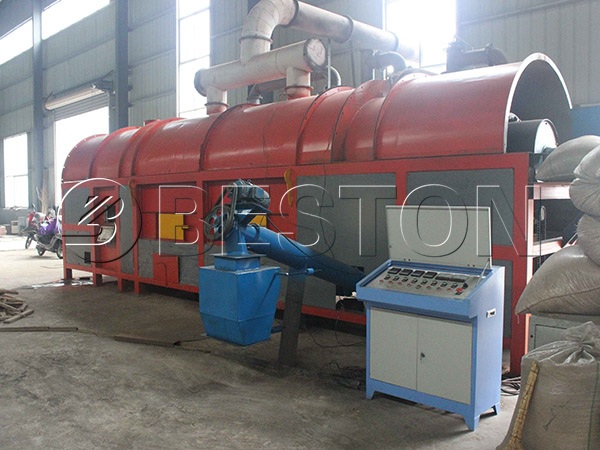 Many people have realized the benefits of investing a palm kernel shell charcoal machine, which can not only solve the waste palm shell problem, but can also bring earnings. Charcoal from the palm shell can be reprocessed into palm shell activated carbon, which can be used in water recycling and air purification. The palm shell charcoal is good fertilizer to improve the quality of the soil. Not to mention that the high carbon content of the palm shell charcoal make it useful fuel in industry and BBQ. 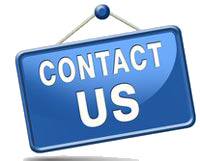 If you have interest, you can come to visit us.